On 29 January 2019 I saw Jared Spool talk on “The Evolution of a New UX Design Revolution” — it was pretty inspiring. I’m pretty sure my sketchnotes are not terribly comprehensible. Luckily there’s video of another time he gave the talk on video. Joe Crawford blogged this at 7:48am in 2019 in March. The 22nd was a Friday. You are reading this 1 month later. Comment. There are no comments Tweet. Send email. 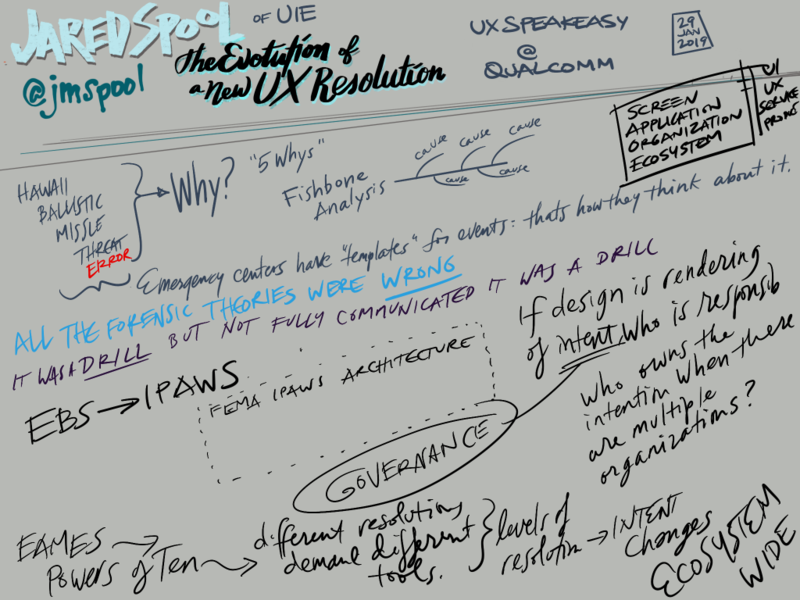 It has hashtags→ drawings jared spool sketchnotes ux ux speakeasy .